The word of the LORD came to Jonah son of Amittai: “Go to the great city of Nineveh and preach against it, because its wickedness has come up before me.” But Jonah ran away from the LORD and headed for Tarshish. He went down to Joppa, where he found a ship bound for that port. After paying the fare, he went aboard and sailed for Tarshish to flee from the LORD. Jonah 1: 1-3. The purpose of God’s judgment is correction, not revenge. He is always willing to show compassion to anyone willing to obey Him. If God asks us to share with our neighbors / colleagues Christ’s love and the free gift of salvation through faith in Lord Jesus what will our response be? When we face difficulties on account of the gospel God will provide us the strength and encouragement we need. Let us boldly share the love of Christ to those who are in need of Christ’s love. This entry was posted in Christian life, Power of God and tagged God's Judgement, Salvation on January 26, 2012 by thejourneyinchrist. The fear of the LORD is the beginning of wisdom, and knowledge of the Holy One is understanding. For through wisdom your days will be many, and years will be added to your life. If you are wise, your wisdom will reward you; if you are a mocker, you alone will suffer. Pro 9: 10-12. The foundation of knowledge is to fear the LORD- to honour and respect God, to live in awe of His power and obey His word. The word of God is living, life changing and dynamic as it works in us. It is the controlling principle of our understanding of life in this world as well as our attitudes and our actions. This entry was posted in Christian Foundation, Christian life and tagged fear of the lord on January 19, 2012 by thejourneyinchrist. God says that wisdom is primary and fundamental. It is the foundation on which all life is built. In Paul’s spiritual journey he mentioned about wisdom to describe Christ’s presence at the creation of the world. This entry was posted in Christian Foundation, Christian life on January 12, 2012 by thejourneyinchrist. Thought: Herod was king by a human appointment; Jesus was king by a divine appointment. No one can prevent God’s plan from being carried out. 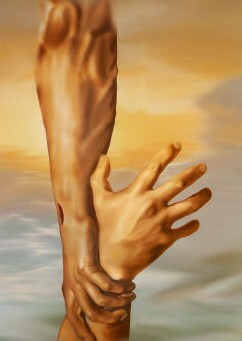 This entry was posted in Christian life, Power of God on January 5, 2012 by thejourneyinchrist.